Nigel Buxton comes from a long line of professional Bristolian butchers. You can even trace butchery back through his family tree to 1890! To this day, Buxton Butchers is a family run business. 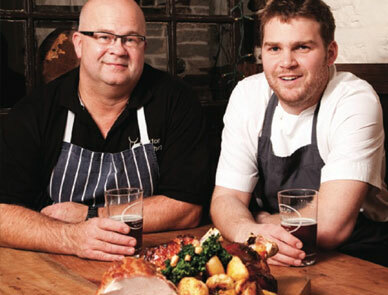 The quality of Buxton’s meat is recognised and used in menus by top local chefs including Michelin-starred Josh Eggleton of The Pony & Trap, Chew Magna. Whether supplying top local chefs or valued customers in his Winterbourne shop, quality doesn’t falter and meaty meal times are made magical! Nigel made his debut in the meat trade at just 12 years of age and over the years has learnt and mastered every aspect of the trade, working his way up through the ranks, moving from butchery, slaughtering, processing and cutting to the Head of Meat at a top-end organic specialist meat farm to Commercial Director at a multi-million pound meat concern. Nigel has travelled the world in his quest to research, source and select the best meat that money can buy. He has benefitted from these travels by picking up valuable practices and principles along the way. Nigel has put everything he has learnt into practice and is only happy selling meat he would eat himself (and he is a stickler for high standards!). Back in Bristol, Buxton Butchers opened in Winterbourne village in 2009 and by 2013 has become a thriving family butchers! All meat is sourced as locally as possible from the lush rural surrounds. Where quality allows, all the pork, lamb and the majority of beef is local. Sausages are made on the premises to traditional recipes and are perfect comfort food with creamy mash on these dark autumnal evenings. Dry aged beef is especially popular at the moment: meat that has been hung to dry for several weeks. After the animal is slaughtered in the correct manner, prime cuts, or even a whole half cow is hung. Only high grades of meat can be dry aged as the process requires meat with an evenly distributed fat content. 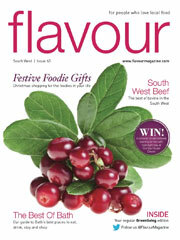 Nigel Buxton looks for perfect fat covering and marbling in the meat he selects for dry ageing. Temperature of storage is critical – if it is below freezing temperatures for meat (-2 ̊C to –3 ̊C) the enzymatic processes involved with ageing will cease. However, too high a temperature can result in the meat spoiling. Optimum temperature for ageing is between 0 ̊C and 4 ̊C. The main aim of dry ageing is to concentrate and saturate the natural flavour. During the process the juices are absorbed into the meat, making the finished product much more tender. The meat is tenderised in the first 21 days and after that the flavour continues to be intensified through the evaporation of moisture. Dry aged beef is at its best at 28 days, although the time it is aged can vary between 21 and 40 days. Christmas meat orders are now being taken at Buxton Butchers, tailor-made to individual customer requirements. All turkey, duck and chicken for Christmas is sourced within a 50-mile radius. Nigel can make your Christmas meat order one less thing to worry about this Christmas! Our in-house butchery offers all cuts of pork, beef and lamb as well as local free-range chickens, local seasonal game, dry cured bacon and gammon joints and homemade sausages and faggots. Much of the meat is reared on our farm here at Allington, all of it is hung on the carcass and traditional butchery methods are employed. Our home-reared turkeys are naturally matured in large open- fronted barns on deep straw bedding. Turkeys are dry plucked, hand-finished and then hung for at least seven days in cold rooms. This process preserves the natural texture and enhances the superior flavour of the bird. Orders are now being taken for Christmas; as well as turkeys, we specialise in local free-range cockerels, chickens, geese, ducks and home-cooked hams. Martins Meats specialise in locally produced beef, pork and lamb, dry matured on the bone as well as locally farmed poultry and game in season. 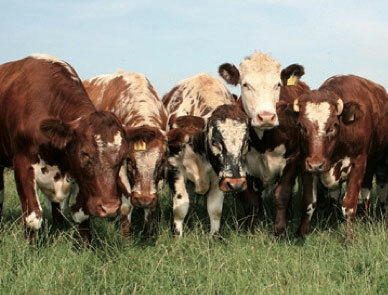 The beef is dry-aged for a minimum of 28 days, resulting in a finer flavour and texture. Cattle come from their own farms or from other farms in the Cotswolds, and they have recently won a Great Taste Award 2013 for their 28-day aged Longhorn Cote du Boeuf. They are known locally for their Gloucester Old Spot pork and Cotswold lamb, again from their own farms or sourced locally. Pig roasts can be supplied and a whole range of barbecue products including sausages and burgers are also available. Martins Meats offer free delivery to customers within a 30-mile radius, with a minimum spend of £50, and also offer the option of collection. Find us on Google Maps and take a virtual tour! 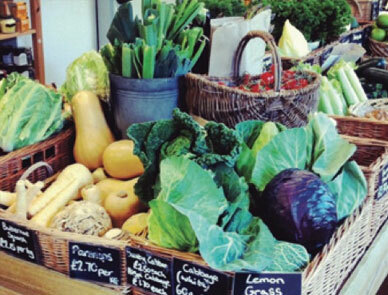 The Ploughman’s Farm Shop prides itself in offering quality; homegrown, homemade and local produce. The family run business has been producing its own turkeys, beef and lamb for over 30 years, and specialises in traditional methods of hanging to give the meat its tenderness and flavour. All of our sausages, faggots, pies, pasties and sausage rolls are homemade and baked using our finest produce and secret recipes. We also offer a good selection of seasonal fruit and vegetables, which are sourced as locally as possible and our bread and pastries delivered fresh daily from a local bakery. From meat and poultry – raw or cooked, to preserves and condiments, or cheese, milk and ice cream, to wines, ciders and ales, the strive for quality covers it all. Tortworth Estate Shop is a real ‘foodies’ larder of great local and speciality foods tucked away in the beautiful hamlet of Tortworth and run by Simon Ball and family. Offering a vast selection of freshly prepared meats and game, much of which is home-produced or locally caught, there is something for every occasion. We complement this with plenty of regional seasonal fruit and vegetables and support over 100 local suppliers who produce a large and varied range of products including bakery, dairy, preserves and conserves. Come and enjoy a taster of the 80+ cheeses we stock on our deli counter, or enjoy a relaxing, freshly brewed coffee and homemade cake in our new restaurant which has lovely views of the Cotswold escarpment. Join us on a steak night and indulge in the fat of the land with our famous home-reared steaks and mother’s own desserts! Follow us on twitter @tortworth1, or find us on Facebook. 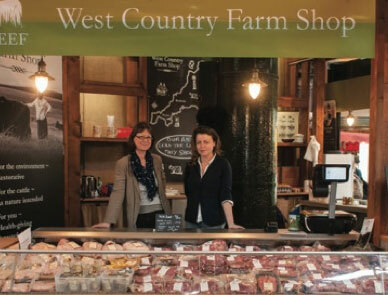 This festive season, the Wild Beef West Country Farm Shop is brimming with exceptional artisan produce from the South West of England. Wild Beef rib on the bone and rolled sirloin, Mammoth Bronze turkey*, goose*, rabbit, gammon, pork belly, Boxing Day chutney, mustard, relish, Great Taste Award-winning marmalade and much more besides. Each ethically-produced, additive- free item in the selection has been raised and created with the greatest respect for nature. Order as soon as possible to guarantee Christmas delivery. Gift hampers are also available. 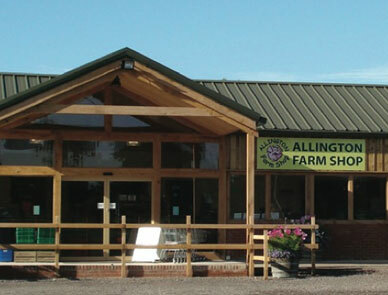 Washingpool Farm Shop is a family run business on the outskirts of Bridport. Three generations live and work on the farm, which produces greengrocery and meat for the award-winning farm shop and restaurant. 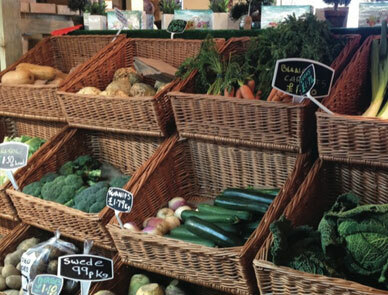 A wide range of produce is sourced from local producers and the friendly shop staff are happy to give advice on this. Washingpool is renowned for its range of fresh greengrocery as the family formerly ran two greengrocery shops in Bridport. The Farmer’s Kitchen is an informal restaurant serving hearty lunches, breakfast, coffee and cakes. The shop and restaurant are open seven days a week and often have events for adults and children. Trevaskis Farm has always been run with the same ethos – to champion homegrown and home-reared produce while also sourcing goods from trusted local producers. The Trevaskis Market features fruit and vegetables, dairy, bakery, deli, fishmongers and butchery all under one roof. Trevaskis Farm butchery is synonymous with taste and quality, with their meat counter stocking homemade sausages, hog’s pudding, home-cured bacon and gammon from their herd of rare-breed, free-range Lop pigs, together with free-range West Country poultry and locally sourced South Devon breed beef. 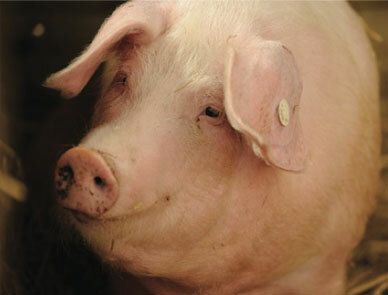 Giles Eustice of Trevaskis is Chairman of the British Lop Pig Society (www.britishloppig.co.uk), celebrating and promoting this very rare breed that is loved by celebrity chefs such as Clarissa Dickson Wright (the Society’s patron) and Cyrus Todiwala. Trevaskis are able to ship this great product anywhere in the country overnight. 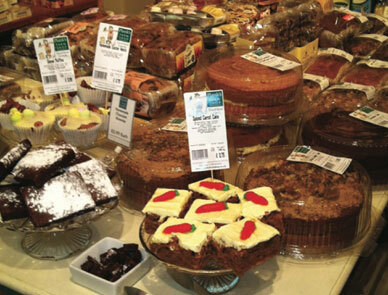 Located just a mile from Bath’s city centre, Prior Park Farm Shop is set within the Prior Park Garden Centre. The Farm Shop has rapidly become a hub of interest for discerning food buyers; people who are passionate about the quality of the ingredients they choose to use when cooking and the taste of what they eat. All of our meat comes from Newton Farm, who supply us with award- winning cuts of beef, along with lamb, pork, chicken, turkeys, geese and ducks. We also sell a range of other meats including sausages, bacon and more, along with our range of fruit and veg, dairy products, drinks and more. We can provide you with all you need for your Christmas table. 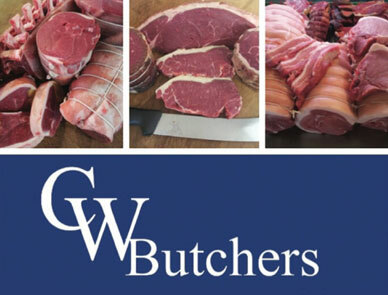 Butcher Chris Webber and his team at C. W. Butchery are purveyors of high-quality, fresh local meat. We source the finest produce from local farmers, ensuring fully traceable quality from the farm to the fork. We provide local Aberdeen Angus crossed beef, hung and dry aged for at least 21 days, in ideal conditions to ensure tender meat bursting with flavour as it should be. 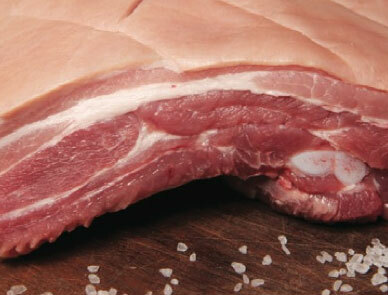 Our free-range and outdoor reared pork produces excellent crackling and brings back memories of how pork used to taste. Our sausages recently won Gold, Silver and Bronze awards at the Taste of the West Awards. Try our fantastic dry cured bacon and gammon from local sources, along with new season lamb and delicious mutton. We use the finest poultry suppliers to give you high-quality chicken, Christmas turkeys and other birds, all dry plucked and hung for optimum flavour. During the season we can provide you with local game, including venison and pheasant. Something not to miss out on! We also have close partnerships with the finest fresh fish suppliers, delivered to us the very same day they were landed. Buying British has never been as important, which is why at the Great British Meat Co. we can track every steak, chop or shoulder back to the farm where it was reared. If, like us, you value good breeding and high quality then give us a try. Whether looking for the everyday essentials or something a bit special we can deliver straight to your door. 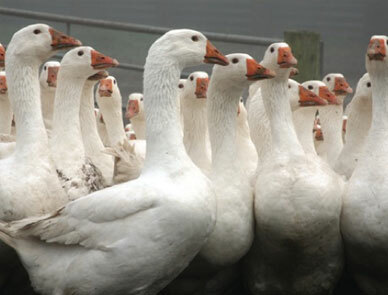 Goodman’s Geese sell free-range oven-ready geese and Bronze turkeys, all traditionally reared on their own farm. All birds are fed on all-natural foods – grass, corn, straw – containing no additives or growth promoters. The company has won several marketing awards over the years, and their birds have been used by top chefs including Delia Smith, Rick Stein and Jamie Oliver. Order online for collection or delivery, with geese available now and pre-ordered turkeys available for collection from November 28. 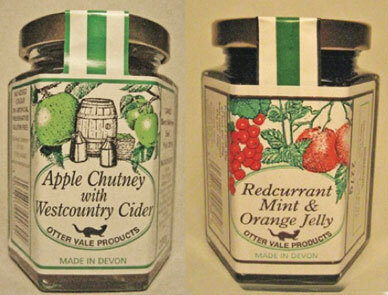 Otter Vale Products are a small Devon based family business who manufacture and distribute their own unique range of hand-made chutneys, savoury jellies, and other traditional food accompaniments from their kitchens in Budleigh Salterton. A winner of a gold star at this year’s Great Taste Awards, this chutney makes a superb accompaniment to pork. An option for those who can’t decide between redcurrant jelly and mint sauce, especially good with barbecued lamb. A ‘Taste of the West’ gold award winner, this is a must for the Christmas turkey dinner but is also delicious in cold poultry sandwiches. A spicy and medium hot mustard that makes a perfect addition to casseroles and marinades. Hot and spicy, this mustard is just fantastic with grilled meats. 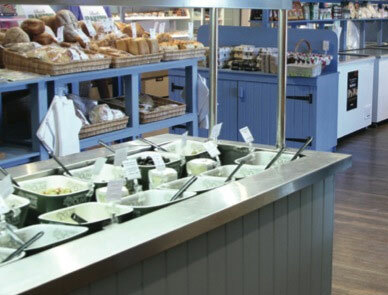 Based 6 miles south of Bath, Farleigh Road Farm Shop offers a fantastic selection of local produce and gourmet treats as well as a large range of ready meals, quiches, pies, pasties, soups, salads, cakes and desserts all made by their own chefs. Their in-store butchery is run by Andy and offers locally sourced free-range pork, lamb and beef as well as free-range poultry and game in season. With turkeys available for Christmas, Farleigh Road can also put together the perfect Christmas hamper for any recipient. Their light and airy café serves home-cooked food from 9.00 – 4.45, and a children’s play area should keep the little ones happy whilst you enjoy your food. 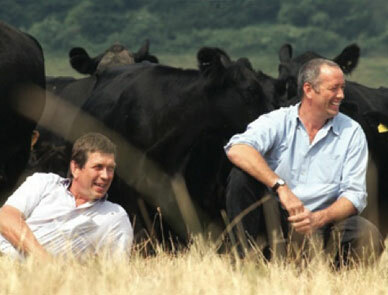 Organic beef farmers Shon and Simon Sprackling launched Rother Valley Organics in early 2004. The idea was to sell organic meat directly to customers handling the entire process literally from pasture to plate and in doing so help preserve some of the most environmentally sensitive areas of the South Downs and provide a lifeline for other local farmers. The brothers sell their own organic Aberdeen Angus beef, pork and lamb, but also work with other local farmers to offer a wider choice of organic meats such as chicken and other organic breeds. All the meat is fully traceable and the Spracklings have their own on-site butchery where they employ master butchers to ensure the meat is cut and presented to the highest standards. 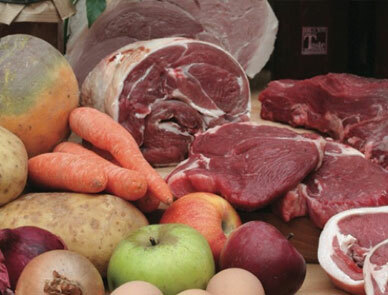 Rother Valley Organics can deliver all over the UK – take a look at the website for more information. 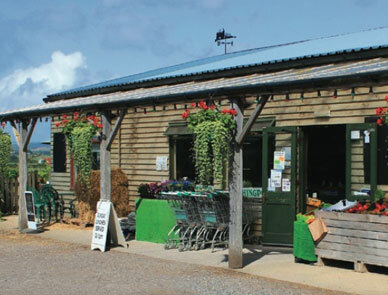 Plank’s Farm Shop is based at the Old Potato Yard, Lydeway, just 4 miles south east of Devizes. The shop has a great reputation for offering a fantastic selection of local produce as well as delicious gourmet treats. The ‘Made On The Farm’ range includes ready meals, quiches, pies, soups, salads, cakes and desserts all made by Plank’s Farm Shop’s team of chefs in their large kitchen. Plank’s are also pleased to have won a Gold Taste Of The West Awards for their Plank’s Pasty this year. Plank’s are happy to offer an outside catering service, so whether you are having a dinner party for a few friends or holding a large event, they can offer you a wonderful selection of their home cooked food. Menus are available to suit all budgets and tastes. Please feel free to call for a no obligation quote. Plank’s stock a great range of foodie gifts and hampers for the gourmet in your life – for Christmas gift ideas, head over and pay them a visit!